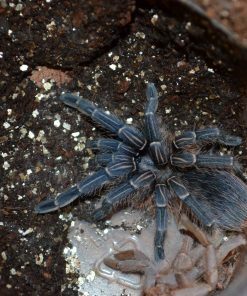 The Haitian brown birdeater is a big, beautiful tarantula. 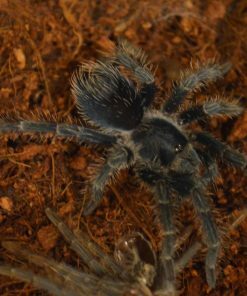 Spiderlings are a beautiful metallic blue, which changes to an olive or purplish brown when mature. This species is easy to care for and a vigorous feeder, but it can be defensive and isn’t recommended for beginners. 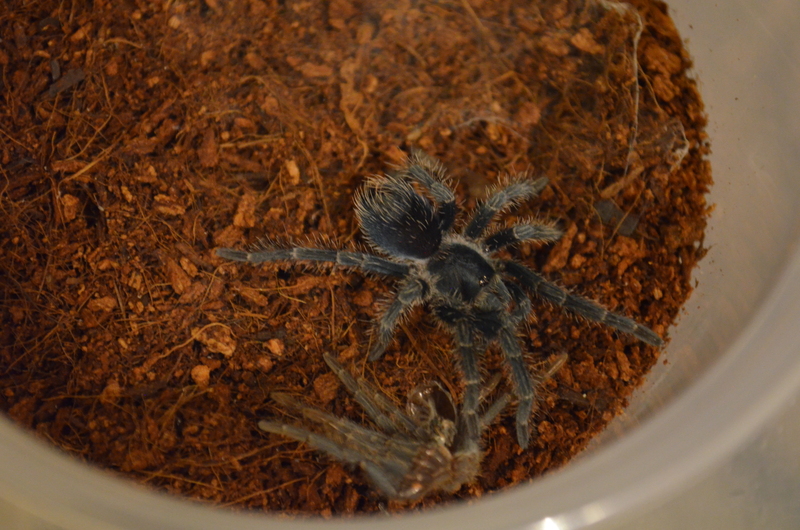 Max size is around 8″. 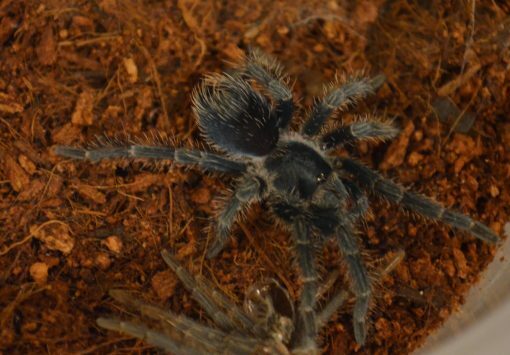 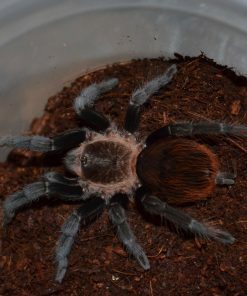 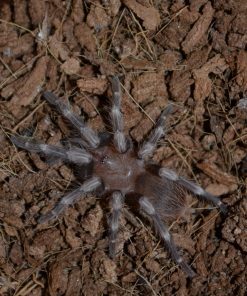 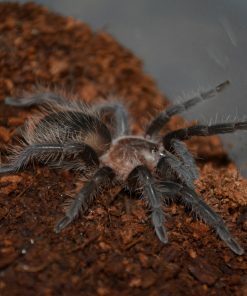 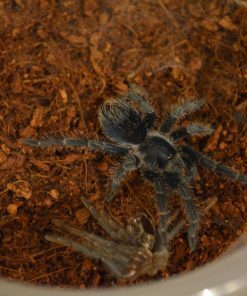 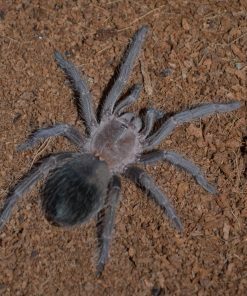 All of our tarantulas are sold unsexed.